Green Prophet has presented some solar-powered air conditioning technology developed in the Middle East. While we like to support local innovation, the practical ones might come from afar: A company located in Denver Colorado, USA, have developed on of the most practical solar powered air conditioning systems made to date. Named the Coolerado, after the mountain state in which the device was developed by its originator and Coolerado Corporation CEO Mike Luby, is a portable completely environmental friendly unit that utilizes both the power of the sun, water, and a clean form of energy from the atmosphere known as psychrometic energy, which deals with the heat transfer of water vapor which results in a virtual cooling process of the air itself. 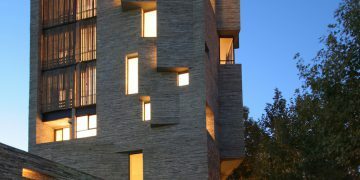 The units include a set of solar panels which create the electricity used to power the unit. Fresh air is drawn into the unit by means of a special fan. The air then passes through a special filter to remove any impurities, and then enters special chambers known as HMX’s of heat and mass exchanges. Since the air that enters the exchanges contain quantities of water, this water is retuned to outside atmosphere, and the “conditioned” or cooled air is then sent to the structure to be cooled by means of a duct. To give more efficiency to the solar panels themselves, who lose part of their ability to produce electricity due to overheating, cooled air can be sent to cool the panels from the back side. Compared to a standard air conditioning system, a Coolerado AC unit sufficient to cool a building of 3,000 sq. feet (sufficient for 20 people) only needs 600 watts of power, about 1/3 the amount needed to operate a standard hair dryer, to run it. This is compared to a standard unit which needs around 6,000 watts to operate. Coolerado units can be located in the empty attach space of a standard house, and the panels integrated with the roofing tiles ( like solar plates for water boilers are). 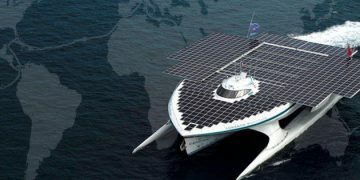 They can also be placed on the roof of a flat topped building, with the solar panels positioned to face the sun. 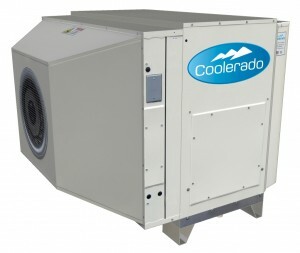 The uniqueness of the Coolerado unit’s design has resulted in articles about it being published in a number of environmental and business publications, including The Green Hour, Earth Times, which noted Coolerado receiving a Renewable Energy Award from the State of Colorado in January 2009, the Denver Business Journal, and the Appliance Design Magazine. 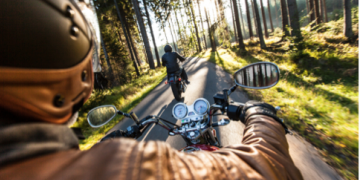 The units are currently available in a number of states in the USA, as well as overseas in Europe, Australia, and Singapore. A distributorship has not been opened yet in the Middle East, but the benefit of such units is obvious in countries such as those on the Arabian Peninsula, including UAE states, in Israel, and other countries where there is more than ample sunshine and sufficient water vapor in the atmosphere. The units carry a 5 year limited warranty and require very low maintenance. And most of all, they use all natural cooling elements and absolutely no CFC refrigeration gasses. Next Next post: Prepare For Major "Solar Power" Event As Jews "Bless the Sun"
Hi, it is very important in business to make the price up front, not to hide it in order to attract customer and make it easy to know. The entire advertising do not mean nothing without the price !!!! Awesome product. Thanks for getting message out there that there are solutions and it is possible for individuals to make their homes green. 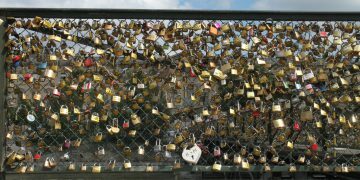 If we keep talking about these solutions maybe they will become common place. Thank you for the excellent article about our air conditioning systems. 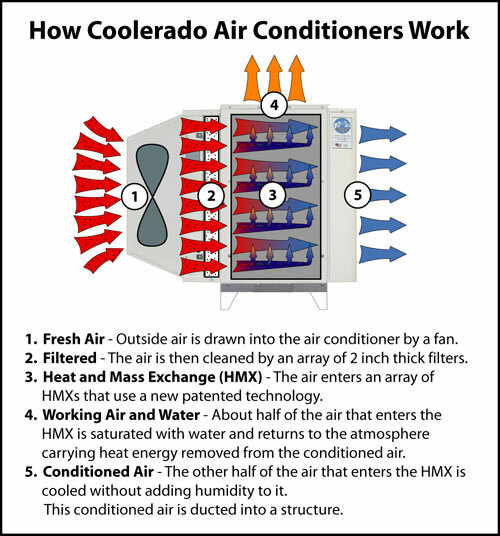 All of us at Coolerado are very excited about the many ways that our systems can benefit people with cool, clean, fresh air and benefit the planet by reducing electrical demand, use no chemical refrigerants, and reduce large quantities of CO2 annually. I do want to make a correction to your article though. The Coolerado technology is based on science developed by Dr. Valeriy Maisotsenko. Dr. Maisotsenko and the founders of Coolerado are the inventing engineers who commercialized the Green/Clean air conditioning technology that our Coolerado systems use. I can take no credit for this amazing invention. I’m just excited to be a part of helping Coolerado grow and expand our products to help people and the planet.